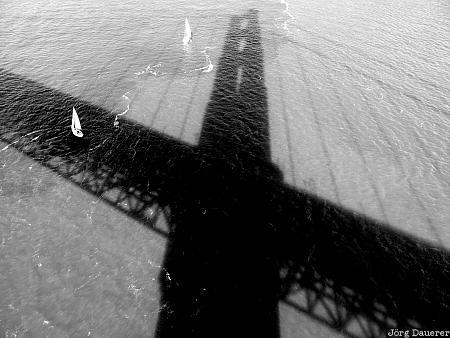 The shadow of the Golden Gate Bridge in the Bay of San Francisco seen from the bridge. San Francisco is at the Pacific coast of California in the west of the United States. This photo was taken in the afternoon of a sunny day in late September of 2002. This photo is part of the exhibition Shadows (June 2007). This photo was taken with a digital camera.